Hemp’s Heyday: It’s Finally Legal. 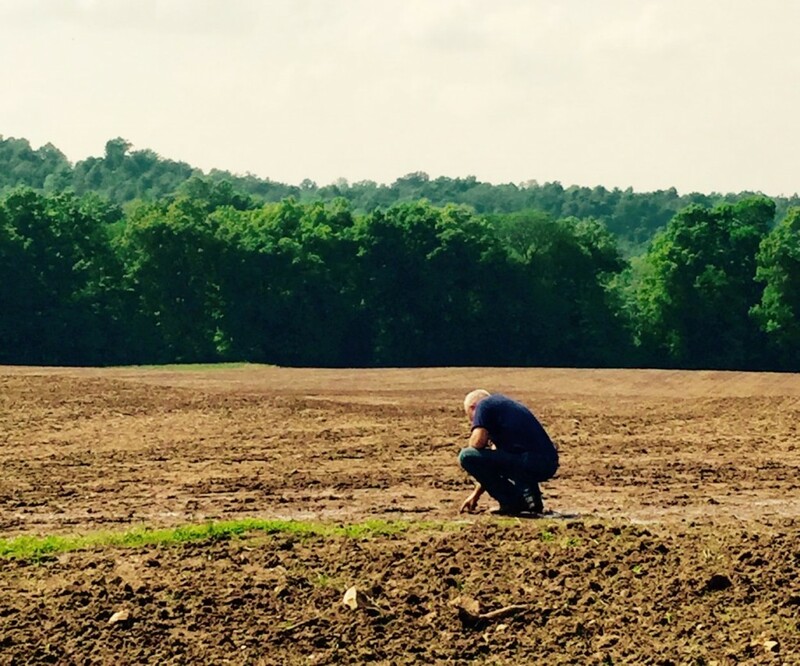 Now, Can Ohio Valley Farmers Cash In? Inside Winkin’ Sun Hemp Company in downtown Wheeling, West Virginia, store owner Doug Flight tries to position himself in front of a camera crew. His experience with growing and selling hemp spans years. But memorizing lines for what he says could be the first hemp TV commercial in the state is another issue. “I know, I grow,” Flight says to the camera. “Is that it?” Flight asked. “It’s ‘I know because I grow,’” someone with the camera crew said back. Flight has wanted to shoot a regional television commercial for his hemp business since 2014, when he was one of the first nine people in West Virginia’s pilot hemp program. But local television stations turned him down because hemp was still illegal under federal law. Hemp is a type of cannabis that has a centuries-long history in the Ohio Valley, particularly Kentucky, where it was used to make rope and fabrics. 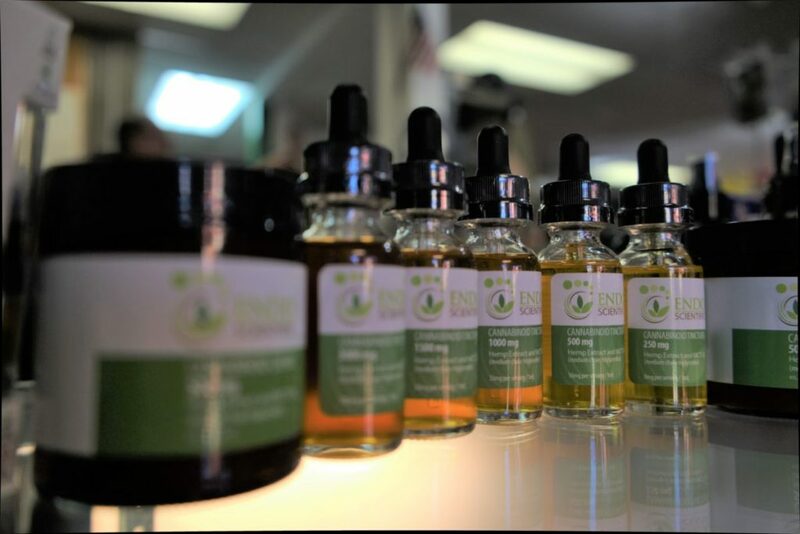 Today it is used to make products ranging from shirts, protein powder, pasta and herbal remedies high in cannabidiol oil, better known as CBD. The oil is concentrated in hemp flowers and touted for benefits for anxiety, inflammation and other ailments. Hemp was illegal because it was considered a controlled substance by the Drug Enforcement Agency, lumped in with LSD, heroin, and marijuana, a related species. The 2014 Farm Bill gave states the ability to start industrial hemp pilot programs to research the crop with strict regulations to follow, and Kentucky and West Virginia created their own versions. When the president signed the 2018 Farm Bill on December 20th, hemp left the list of controlled substances, redefining it as a legal crop. That will ease large-scale production, and make growers eligible for research grants and crop insurance through the U.S. Department of Agriculture. For Flight, the federal legalization of hemp meant television ads across the Ohio Valley, banking opportunities, and much more. Along with retail stores like Flight’s, state data show Ohio Valley interest in growing hemp has shot up dramatically. The Kentucky Department of Agriculture says grower applications approved for 2019 almost quintupled from 2018, from 210 to 1035 permits issued. In West Virginia, approved grower applications increased by four times on a smaller scale in 2019, from 46 to 199 permits. 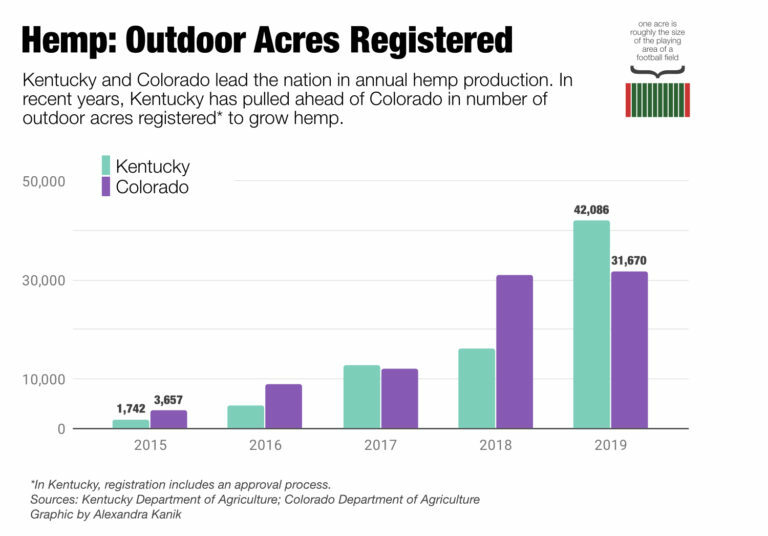 Overall, Kentucky officials approved 42,086 acres for hemp harvest, the most in the nation, and a large leap from the 16,100 acres approved last year. Colorado, the state with the second largest amount of approved acres for 2019, has 31,670 acres. Regional advocates say hemp’s new, legal status is driving the sharp increase in interest. But multiple hurdles, from planting to state policy, still remain. The USDA says the U.S. hemp market was worth $820 million in 2017. 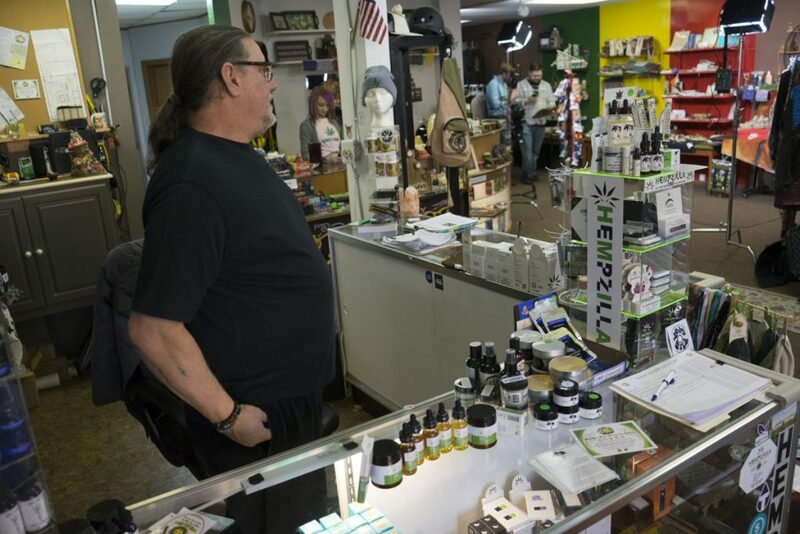 Yet assistant dean of Murray State University’s Hutson School of Agriculture, Brian Parr, said most of the money and interest he’s seen from Ohio Valley hemp farmers is in making CBD oil. Parr said one obstacle to profitability is that farmers have yet to find a way to efficiently harvest hemp flowers besides cutting and handpicking them. “So we’ve seen machines shipped in from Europe. We’ve seen headers from combines that were brought in too, that were supposed to be designed for hemp harvest, that haven’t worked,” Parr said. He said the growing hemp industry has mostly relied on the existing labor of the tobacco industry in western Kentucky to help harvest CBD. But he warned this long process has mainly remained profitable because profit margins for the oil have remained high. Parr said he thinks investing in hemp right now is risky because promised safety nets under the new Farm Bill, such as crop insurance, are probably still a year away. But that hasn’t stopped Ohio Valley farmers and some state government officials from charging ahead. Under the 2018 Farm Bill, states have to submit plans to be approved by the USDA on how commercial hemp will be regulated. For example, federal regulations require THC levels of hemp to be tested below 0.3 percent. THC is the compound in cannabis that causes intoxication. Kentucky didn’t hesitate in submitting its plan first, on the same exact day the 2018 Farm Bill was signed in December. Agriculture Commissioner Ryan Quarles argues the state pilot program already meets federal regulations stipulated by the USDA and that they want to keep moving fast on hemp for the future. “We are going to be a resource for the United States Department of Agriculture, and we look forward to help in building a national framework. But for 2019, Kentucky will not be sitting on its hands,” Quarles said. One advantage for Kentucky is that it has been able to fund four full-time employees dedicated to the program thanks to thousands of dollars in fees collected from hundreds of growers. West Virginia Agriculture Commission Kent Leonhardt said in an opinion piece that in comparison to Kentucky, the Mountain State’s industrial hemp program is lagging, with only $9000 of support. He called on the state legislature to put more funding into the program to keep up. In Ohio, Farmers Union President Joe Logan complains that the state is one of nine that never passed legislation for a hemp pilot program. Logan said he’s hopeful a push for state legislation will come this year now that hemp is no longer a controlled substance. As much as he considers Ohio to be a leader in many agricultural industries, he said Ohio state lawmakers in general haven’t seen the potential in hemp like the rest of the Ohio Valley. At least one eastern Kentucky farmer sees that potential as a way to revitalize Appalachia’s economy. 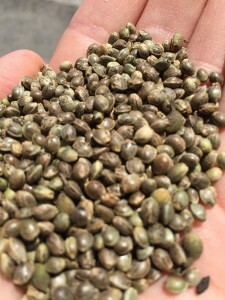 Pine Mountain Remedies manager Nathan Hall isn’t growing hundreds of acres of hemp like some farms in central Kentucky. Instead, he’s growing hemp on a two-acre plot of land in Letcher County, leased from local community members so that they can be a part of the business, too. Hall says profit is not his first priority. He’s more concerned with making sure the money made from hemp stays in eastern Kentucky communities that have lost many coal jobs. He said he’s tired of seeing promised economic development schemes fall through. “We have these proposed businesses that are going to build a thing on a former strip mine and it’s going to create two hundred jobs, and it just never happens,” Hall said. He’s hoping that hemp can provide a way not only to make money but to create a stronger community through farming. Glynis Board of ReSource partner station WVPB contributed to this story.